Despite the drought we are currently facing here in California, miraculously, the Forest Service is still allowing campfires in some wilderness areas, the Emigrant among them. With that said, we thought it apt to talk a little of campfires, wild fires, and your responsibility involving the two. If you are going to have a fire, make sure it is fully extinguished; lots of water, lots of stirring. We came across a runaway campfire not long ago where, whomever had enjoyed it’s warmth the night prior did not fully extinguish for whatever reason. Not only was their campsite and fire pit not by any source of water so as to extinguish, but it was in an extremely dry area with loads of debris and dry loose organic matter mixed in with the loose soil. This was a recipe for disaster where truly just an inkling of common sense could have told these folks not to make the decision to have a fire; they ignored said common sense. 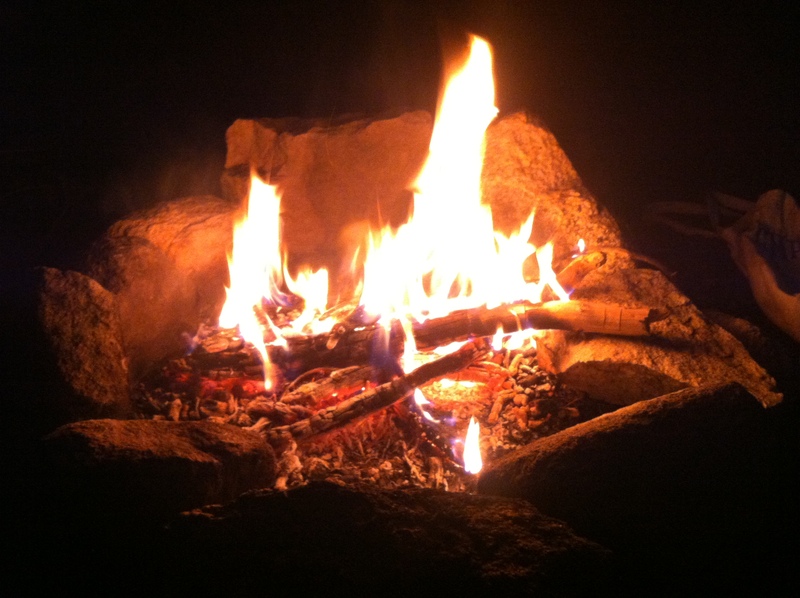 If you have a worry in your gut about having a campfire, it probably isn’t a good idea despite there not being a burn ban in the wilderness area you are in. The Californian natural lands are a tinder box at the moment and it is our responsibility as custodians of our wild landscape to protect what we have and prevent unnecessary wildfire. 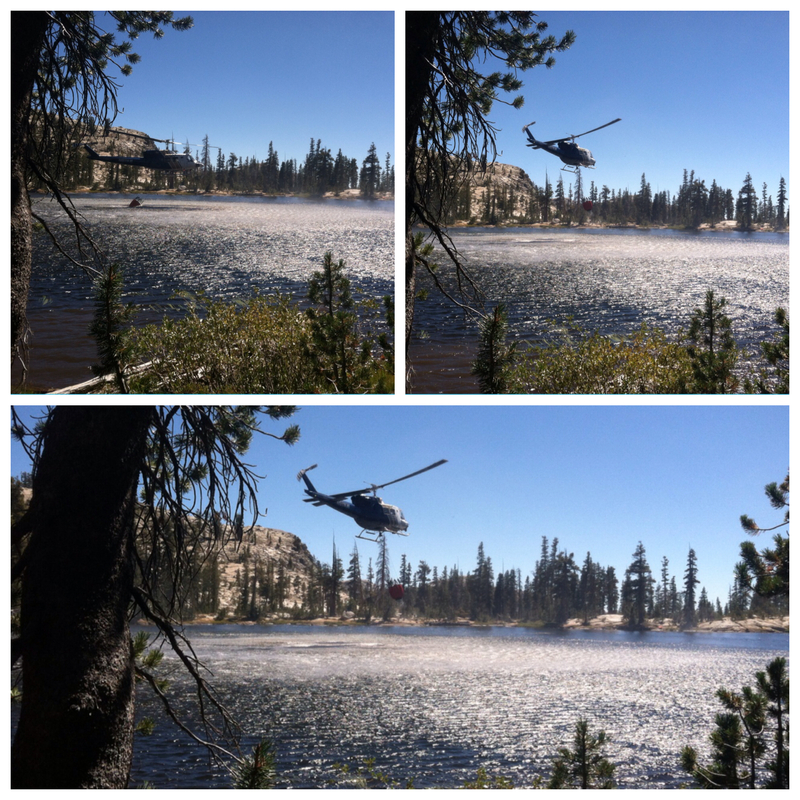 Below are a few pictures of a helicopter picking up water out of Jewelry Lake in The Emigrant Wilderness to dump on a runaway campfire that got out of control. Big ups to CALFIRE and their continued commitment to protecting our most valuable asset.